Perfectly located in the desirable Baltimore neighborhood of Roland Park and walking distance to Johns Hopkins University, there is something for everyone at The Carlyle Apartments. Our studio, one, two, three, and four bedroom floor plans range from 340 – 1,337 sq. ft. and each offer spacious layouts and oversized closets. Find comfort in knowing each of our apartments have passed the Morgan Properties 101-point checklist. 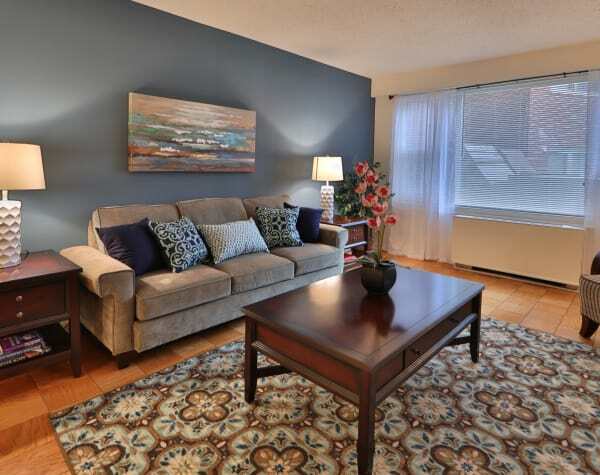 Enjoy a life of luxury, convenience, and ease at The Carlyle Apartments in Baltimore, Maryland. For a full list of apartment amenities, please visit our Amenities page. At The Carlyle Apartments in Baltimore, MD, you’re supported by the best team in property management, Morgan Properties. Come see what life is all about in the Roland Park neighborhood.